My labels just turned up. 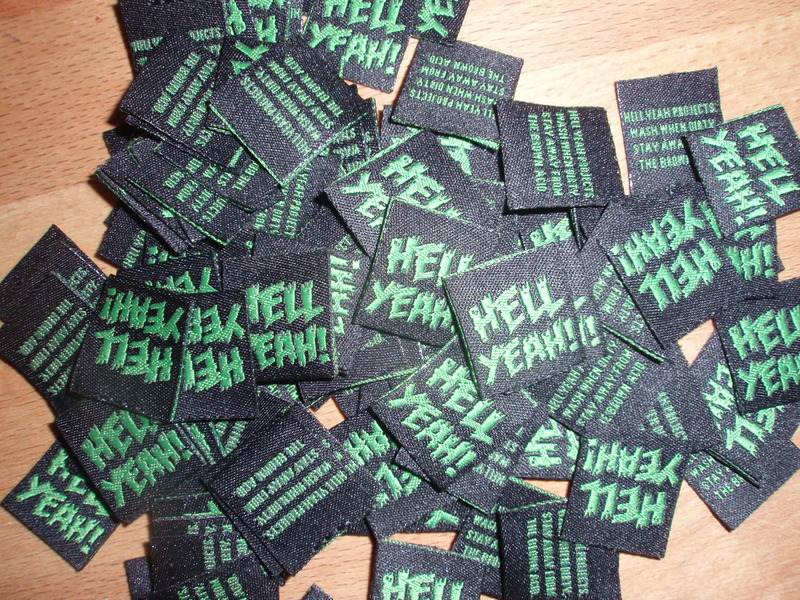 Which is nice, only it means that I have to sew them all on…. The underside of the label reads:Hell Yeah Projects, Wash When Dirty, Stay Away From The Brown Acid. 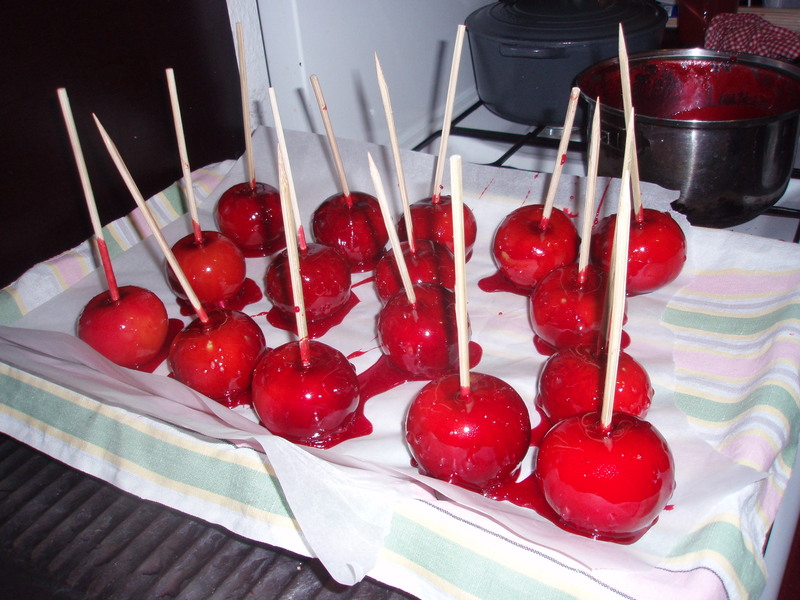 Last night we made toffee apples for Bonfire night. Some people actually ate theirs but I pretended to and then threw mine over the garden fence. I have most of the toffee all over my shoes; they look like crap now.